Thinking about a Group Charity Trekking Adventures with Ian Taylor Trekking. We have put over 1,400 people on the summit of Kilimanjaro and over 1,500 people in Everest Base Camp. We have run private group trips to Machu Picchu, Patagonia, Mt. Toubkal, Annapurna in Nepal, Mt. Elbrus and Salkantay Inca trail. We are only interested in working with charity groups where 100% of funds raised go to the charity. We want to see people pay for the trip themselves. We are not willing to work with charities that are not transparent in how funds are distributed or used. We work with many different, charities, private groups and filming projects helping them achieve their goals in the mountains and also to raise awareness and raise funds for their chosen Charity or business. If you have a group of 6 or more we can organize a private group trek for your team. Why not trek for Fields of Life, Tiglin, Billy’s World Ireland, Next Step Ministries, or the Solas Project or trek for your chosen charity. We also work with private groups looking to Trek to Everest Base Camp, Kilimanjaro, Machu Picchu and around the world. We can bring your team to climb 6,000m (20,000 ft) peaks, Trek in the Himalayas, Climb Mt. Blanc, Mt. Everest to camp 2 or Trek the famous Inca Trail Salkantay trek to Machu Picchu. 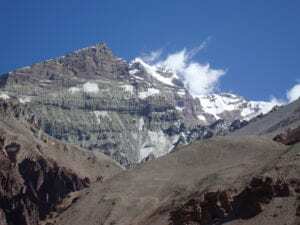 Our Group and Charity Trekking Adventures with Ian Taylor range from day hikes to international Trekking trips to Nepal and climbs which you can find in our trek links on our home page. Depending on where you want to go in the world we can organize and cater for groups from 4 to 40 people. We can also offer a FREE place on some of our trips, depending on how many people are in your group! We are available to help each individual come fully prepared. We can help with training advice, gear selection and so much more. We send out 40 page booklets for most of our trips and available 5 days a week when we are not on trips. Just get in touch and start understanding what it takes to achieve your mountain trekking adventure.